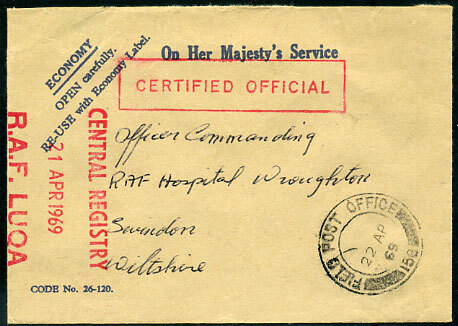 1944 stampless "On Active Service" censored cover to Sqdn. Ldr. 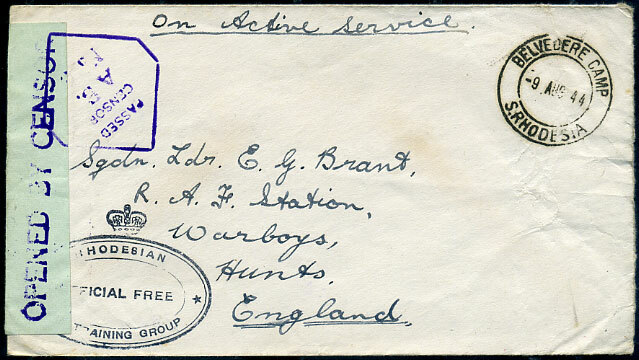 E. G. Brant, R.A.F. 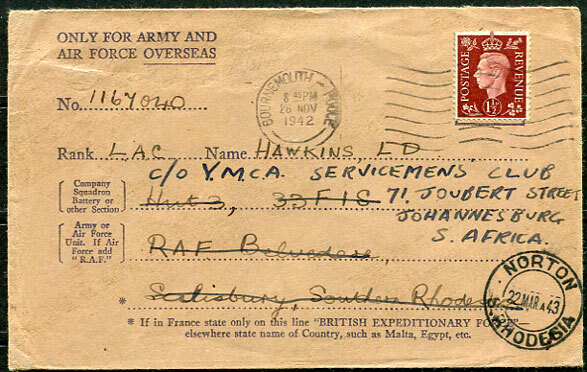 Station, Warboys, Huntingdonshire with BELVEDERE CAMP 9 AUG 44 d/ring, Crowned RHODESIAN/OFFICIAL FREE/AIR TRAINING GROUP cachet. Sender Briant K.A., R.A.T.G. Salisbury.